BMW of College Station is the preferred dealership of Hempstead! 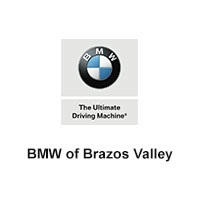 Whether you’re looking for a new, used, or certified pre-owned BMW we have the car for you! We recommend you check out the new BMW X1, 7 Series, and the M2. Our large inventory, friendly staff, and timely service makes us the best choice for all shoppers. We look forward to meeting y’all at our convenient showroom near Hempstead, Texas. Our service department is here when you need us with flexible hours, weekend service, and to top it all off, we offer a free shuttle service. In addition to being there when you need us, we are here for what you need. We offer OEM compatible parts and accessories, and of course free Wifi. All we ask is that the people of Hempstead, Texas allow us to be there for you.